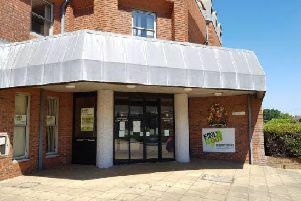 Chief executive of The Disabilities Trust Irene Sobowale said the decision to close the Ernest Kleinwort Centre in Burgess Hill was ‘incredibly difficult’ but there was ‘no getting away from the fact that the service has declined’. She told the Middy: “In the past two years we have carried out over 200 interviews and recruited 59 new staff, but over the same period 48 staff have left and we have been increasingly reliant on agency staff to fill the gaps. “We have also been unable to successfully recruit and retain a manager. For those reasons, I stand by my view that it is not right to continue providing the current care and support at EKC when we know, in our heart of hearts, that whilst we fix things when they go wrong, we cannot consistently recruit the people we need to carry through these improvements. “In the longer term, we would be letting down the residents we support and that is not something I am prepared to do. If people can live better lives elsewhere, then we should do all we can to help them achieve this. “The decision to close EKC was categorically not a financial one. Like many care providers, we have certainly had to cut budgets, because the fees from local authorities often do not cover the cost of the care they want us to deliver. "Whilst we have to follow Charity Commission guidelines about use of assets, we have no intention of selling the EKC land for housing development. "Our hope and preference in future years is for the building and/or land to be used for the benefit of disabled people, in line with our charitable mission. - Ownership of the bungalows: "The Trust owns five of the bungalows in Oakenfield and we only provide care for residents in three of those. We have offered tenancies to those residents if they wish to remain in the bungalows, but we will not be providing care (as the main EKC centre will close at the end of October.) Almost all the rest of the bungalows in Oakenfield are owned by Stonewater housing association." - EKC budgets and any plans for the site: "Please see Irene's response, whilst budgets have had to be reduced, it is categorically untrue that this was done with a view to closing the service and selling the site – it was related to lower fee income from councils." - Locations: "Just over half the residents are funded by either East or West Sussex. Others are funded by councils Nottingham, Bath, and London boroughs, to name but three. - Consequences of EKC losing its registration as a result of failing to improve within six months from the date of the last CQC inspection/Inadequate rating: "That would have meant that The Disabilities Trust would not have been able to offer care services from its site at EKC and alternative care providers would have needed to be found for all residents." - Care plans: "We would not talk about individual cases as residents have the right to confidentiality but we are writing back to the family member who has raised concerns about their relative's care plan and are working closely with all families."